Diet culture and mainstream society has dictated the way that we feel about and treat our bodies for too long. Through empowering young people to share stories, explore research findings, critically reflect on media messages and develop curriculums for on-campus discussion groups, Body Banter aims to strive for change in the body image conversation - to increase the visibility of groups that have previously been marginalized in this conversation and to work towards an accepting and safe societal space for all. Before we can start a movement, we must first build solidarity. By sharing our unique perspectives, we can show that body image concerns do not discriminate, and can affect everyone. Share your story with the supportive Body Banter community and play a role in shredding the stigma about speaking up. “Grow” is a space for you to explore how YOU can rewrite your body image story. Our passionate columnists share what they have learned from personal and academic experiences, discuss their thoughts on mainstream media messages, and more. 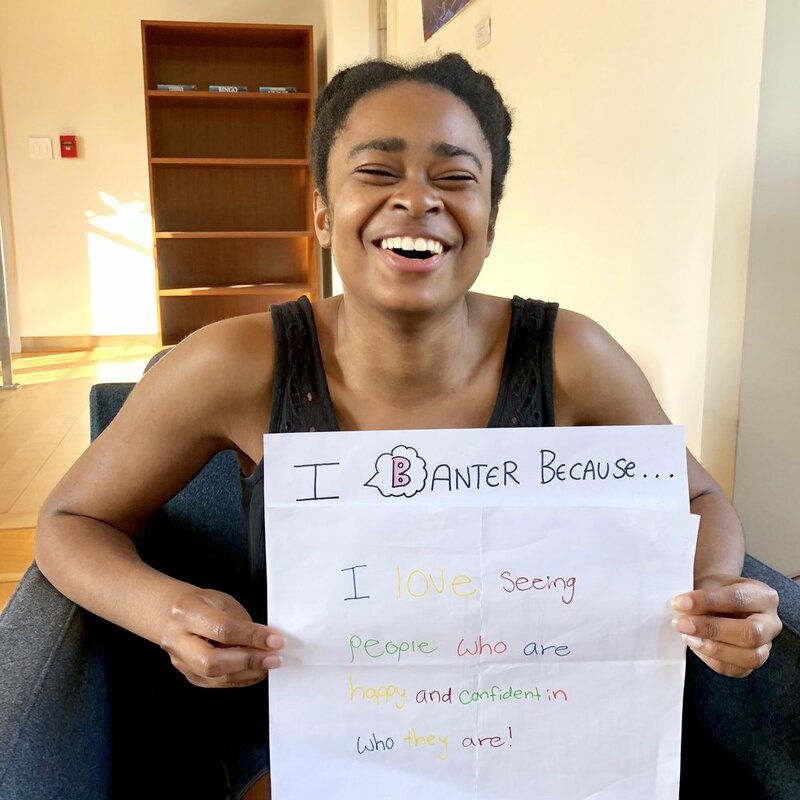 Our Banter Broadcast podcasts and interviews shine the spotlight on individuals who have learned to redefine body image in their own lives, whether this is through acts of advocacy or mindset shifts. Ready to rewrite your own narrative? Contact bodybanter@gmail.com to become a Body Banter columnist! Passionate about body image issues and want to speak up in your community? Be bold and lead the charge. Engage in our Banter-Bassador program to establish a discussion club on your campus! Unlike other ambassador programs, we give YOU the agency to create the curriculum - click below to learn more! Join us in making social media a friendlier space. Engage with the BB community on Instagram, and join us in advocating for body acceptance! Our feed keeps you updated on the latest updates to the BB initiative, our newest blog posts and our latest club discussion summaries.